If your partner often complains that you are keeping them awake with your snoring along with a variety of other negative symptoms, then you could be suffering from obstructive sleep apnea. Obstructive sleep apnea (OSA) is a common sleep disorder that affects millions of people across the globe. OSA can have a profoundly negative impact on your health and relationships. Obstructive sleep apnea is characterized by interruptions in regular breathing. while the patient is asleep. These interruptions can be several seconds long, making ti appear as though the sufferer is holding their breath while they sleep. What is actually happening during OSA is that the soft tissue at the back of their throat is collapsing and blocking the patient’s airway, preventing the flow of oxygen. The brain then sends a message to their body to prompt it to start breathing again, and the body makes a much more concerted effort to force air past the blockage. This normally sounds like a snort, gasp or loud breath, and the patient recommences breathing normally. Sleep apnea varies in severity from patient to patient, and even from night to night. Mild sleep apnea is classed as only a few episodes of interrupted breathing each night, whereas patients who have severe OSA may stop breathing more than a hundred times during a typical night of sleep. The biggest contributor to the development of sleep apnea is obesity. The larger a person is, the more likely they are to have excess fat and tissue in their neck and jaw. This then slackens while the patient is asleep, blocking the airway and causing sleep apnea. Increased age is another common factor among patients with OSA. This is often attributed to the natural slackening of muscles and skin as we age, which is the result of decreased collagen production. Other factors which have been recognized as contributing towards an increased risk of developing sleep apnea include: smoking, excessive alcohol consumption, having naturally enlarged adenoids or tonsils, or a family history of the condition. Most people with sleep apnea go undiagnosed. While interrupted breathing while sleeping is the most obvious symptom of sleep apnea, if you sleep alone, then it is likely to go unnoticed. Other indicators that you could be suffering from OSA, include: insomnia, fatigue, falling asleep regularly during the day time, and frequently waking with headaches. Sleep apnea not only affects your personal relationships and your quality of rest. It can also have a serious impact on your overall health and wellbeing. OSA has been linked to a variety of other health problems, including: hypertension, reflux disease, heart disease and diabetes. If you are suffering from sleep apnea, you should seek advice as soon as possible to prevent the effects of the condition from affecting your general health. Making changes to your lifestyle can dramatically improve the symptoms of sleep apnea. Quitting smoking, cutting back on alcohol and following a diet and exercise routine will make your healthier as well as reducing the likelihood of you experiencing OSA episodes during the night. However, many patients find that lifestyle changes alone can only improve and not eliminate their obstructive sleep apnea symptoms. One of the ways in which we can help you combat your sleep apnea is by providing you with oral appliance therapy. There are two main types of oral appliance therapy possible – tongue retainers and mandibular advancement devices. Tongue retainers work by altering the position of the tongue so that it cannot slip back into the throat during sleep. Mandibular advancement devices (MADs) look very much like mouth guards and adjust the position of the bottom jaw so that it creates a larger pocket of space behind it. This reduces the likelihood of the airway becoming obstructed during sleep. 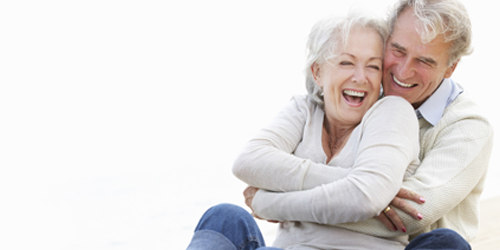 Our oral appliance therapy options are easy to wear, and much more comfortable than other, more intrusive solutions. If oral appliance therapy is unsuccessful, it may be necessary to explore the use of PAP (positive airway pressure) machines to treat your OSA. PAP machines deliver a constant supply of oxygen through a mask that is worn over the face and nose. This oxygen is delivered with enough force to push past any blockages that may occur in the back of the throat. While PAP machines are considered extremely effective, many patients find that they are too uncomfortable and restrictive to wear long-term. 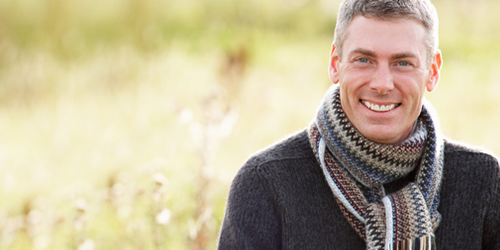 At Syracuse Oral & Maxillofacial Surgery, your health and well-being is our main priority. We are delighted to offer our extensive knowledge and experience of sleep apnea to our patients. If you would like to find out more about sleep apnea and the treatments that we can offer, please do not hesitate to make an appointment with our friendly, reassuring team.